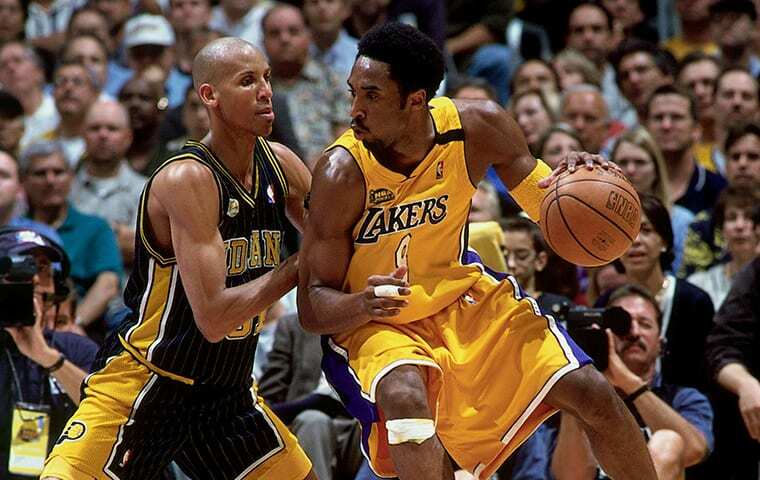 Los Angeles Lakers legend Kobe Bryant had an array of offensive moves unlike any other player before him. There was no way in which Kobe couldn’t put the ball in the basket and one way he learned different moves was by asking those who came before him. Kobe had no problems asking many of the NBA’s best players how they did certain things. He has admitted to taking moves from players such as Jerry West and Michael Jordan, while also spending an offseason with Hakeem Olajuwon to learn footwork and post moves. Another Hall of Famer who he learned from was Reggie Miller, and Miller would ultimately regret helping a young Kobe. In an appearance on the Dan Patrick Show, Miller recalled showing Kobe a stepback jumper, something that Miller was very famous for throughout his career. That would come back to bite Miller just three years later on the NBA’s biggest stage. This completely falls in line with everything we all know about Kobe. He had no issues talking trash to his opponents and with an NBA championship on the line there were no prisoners taken. The NBA is a fraternity and the older generation is always willing to help the younger players. But sometimes that can hurt them in the long run.